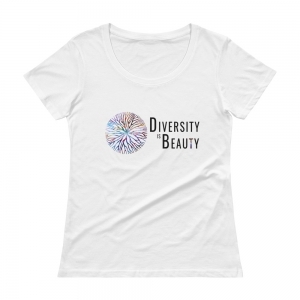 The “Circle of Diversity,” the signature image of the Diversity is Beauty project. The image illustrates the beauty of nine women representing a range of ethnicities, a kaleidoscope of skin tones and physical features, while simultaneously demonstrating the profound beauty and power of their unity. Each of the women in the photo represent one or more of the following ethnicities/nationalities: African American, Chinese American, Czech American, Dominican American, Indian American, Iranian American, Irish American, Italian American, Jewish American, Native American, Russian American, Spanish American. There is great beauty in each of us individually, but when we stand together the unity and strength that come from diversity represent humanity’s true beauty. 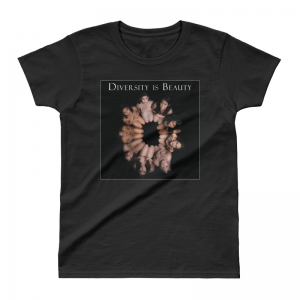 Through the arts, the Diversity is Beauty Project is an effort to remind us of and celebrate the diversity of humanity in the face of growing intolerance, nativism, discrimination and anti-immigration sentiment. Our hope is that such powerful imagery will help heal wounds and inspire unity. 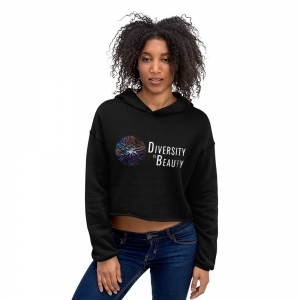 The project develops, encourages and supports art that conveys a positive and inspirational image of diversity through its beauty, strength, simultaneously celebrating humanity’s differences and its unity. 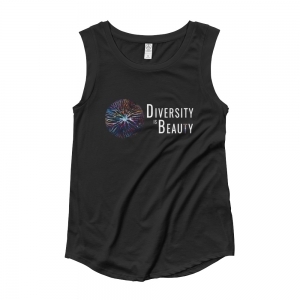 The Diversity is Beauty project brings a timely, compelling and needed positive message about our humanity, celebrating the importance and beauty of diversity in our society through the strong emotional impact and original artistry. We hope you’ll join us in this important project — through your artistry, your voice or your support — to celebrate diversity and inspire unity among millions. A February 2019 report by the Southern Poverty Law Center indicates that the number of hate groups operating in the United States rose to an all-time high of 1,020 in 2018, the fourth-straight year of hate group growth, representing a 30 percent increase following three consecutive years of decline near the end of the Obama administration. In its annual report on extremist-related killings in the U.S., the ADL’s Center on Extremism reported that at least 50 people were killed by extremists in 2018, a 35 percent increase from the 37 extremist-related murders in 2017, making 2018 the fourth-deadliest year on record for domestic extremist-related killings since 1970. According to data from the Federal Bureau of Investigation, hate crimes in the U.S. increased 17 percent from 2016 to 2017, 3 in 5 targeting race or ethnicity, the remainder largely targeting religion. Hate crimes are a growing global phenomenon as well. CBS has reported that far-right attacks in Europe jumped 43 percent between 2016 and 2017. The U.S. is a nation shaped by the immigrants who found their way to its shores from around the world, a nation which has owes so much of its great strength and prestige in the world to its wealth of diversity. So it is especially troubling how current trends are directly at odds with the country’s defining legacy of diversity, a nation of individuals from different ethnicities and culture, united in their quest for a better life, a nation which strives to provide every individual an opportunity to pursue a better life for themselves, their family and future generations. Our history of immigration and diversity has by no means been perfect and has been marred by discrimination and intolerance throughout the years. Step by step, however, there has been progress, with growing awareness and embracement of a multicultural society that, when united, forms the bedrock of modern American society. We are concerned that the divisive trends today represent a grave threat to that progress. Our goal is simple: To inspire an emotional response among all of us, one that celebrates diversity and tolerance that helps us see one another as fellow human beings with whom we share the same goals of providing a better world for our families and our descendants. 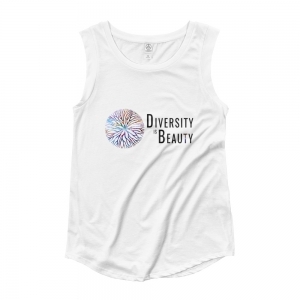 Recognizing the importance of a positive, inspirational message amid harshening rhetoric and political polarization, the Diversity is Beauty project was created as an art-based initiative to convey a strong inspirational and positive message of diversity. In recent times, such positive messages have all too often been overwhelmed by the growing din of a negative and polarized pubic discourse. The project, using the visual arts, celebrates the exquisite beauty of our diverse society and seeks to emphasize the humanity of each of us, both as individuals and as a member of a diverse and unified family. It is our sincere hope that such positive examples that touch the heart can help us rise above the widespread fear and political rhetoric and celebrate the wonder and beauty of diversity. The first phase of the project uses the medium of photography and nine models, both amateur and professional, representing a broad range of ethnic backgrounds. Like many Americans, several are of mixed ethnicity. Unlike most photography projects, the models depicted are not just silent subjects, but were also asked to share a few words about themselves, their ethnicity and their thoughts and perspectives on diversity. Phase II and Beyond: Phase II of the project, which will see the production of more artwork and broaden distribution and community engagement. Still at its inception, the project by no means is inclusive of the remarkable wealth of ethnicities that call this country home, so future phases of the project will also embrace more forms of diversity. As the project evolves we hope to engage more artists, students and organizations involved in diversity issues. We also plan to host photography and other artistic competitions and special events to broaden our inspirational message about diversity. 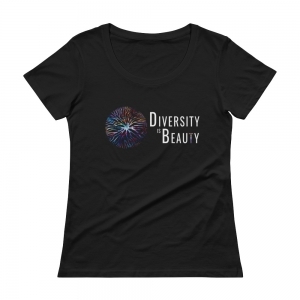 Purchase “Diversity is Beauty” Merchandise: Visit our store and help share our imagery with the world. 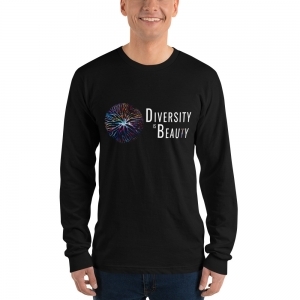 Wearing our apparel, hanging our posters and displaying our other merchandise is critically important to in spreading the word and helping others think more positively about diversity. 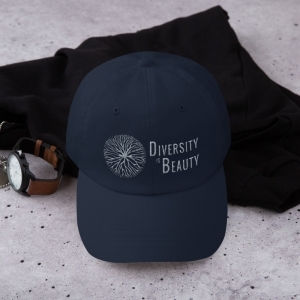 Proceeds from your purchases not only help us advance this project and broaden our portfolio, but will also go to support the hard work of a number of organizations promoting tolerance and opportunity for all. We are donating half of the profits from our merchandise sales to such causes, including the the Anti-Defamation League, Southern Poverty Law Center, Demos, and United We Dream. Contribute to the Project: Your financial support is instrumental in helping support the expansion of the project, including additional photo shoots, inclusion of more artists, special events and helping this effort spread throughout the country and the world. Become a Patron: As a patron, your support will allow us to take this project to a new level, supporting not only a body of artwork, but also an important movement to affect social change. Your direct financial support at any level will help our efforts dramatically. Our highest-level Patron’s will receive original, signed artwork, invitations to VIP events and help shape the direction of this project. Learn more on Patreon. Spread the Word in Your Community: Change begins in our communities. We are asking individuals and business owners to display our posters, in storefronts, lobbies, gyms, or wherever they can be seen by the public to inspire and help build awareness. If you’d like to help us by spreading the word in your community, become a volunteer. 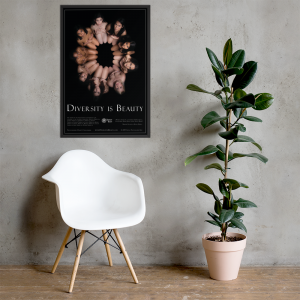 For a small fee to cover our costs, we’ll send you a Diversity is Beauty Community Kit, which includes 11×17 posters you can distribute in your community along with supporting educational materials. For participating individuals, businesses and other institutions that display our posters, we’ll encourage you to take a snapshot and post it on social media. Some will also be posted on our web site. You’ll also receive a form to record the social media information of the merchant or individual should they want a shout-out from Diversity is Beauty on Twitter, Instagram, Facebook, etc. to include in your posts. Finally, for individuals who want to be photographed personally, you’ll receive a photo release that provides their permission to use photographs of them on social media and/or our web site. Spread the Word Beyond Your Community/Social Media: Whether it be by word of mouth, social media or special events, help us build on the power of the arts to celebrate diversity and inspire unity in your community and around the world. Please follow us on Twitter, Instagram, Facebook, etc. Stay Connected: Join our mailing list and stay connected with our efforts and how you can be involved. Submit Your Artwork: In mid-2019 we will be announcing an international photography contest inviting photographers to submit imagery from around the world that celebrates the beauty of diversity. 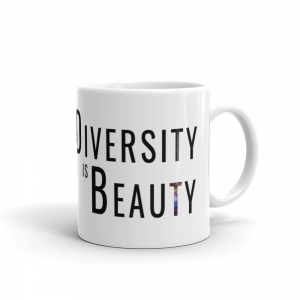 Winning photographs will be featured on our web site, featured at special events, galleries/public spaces and incorporated into our first Diversity is Beauty book of imagery. Attend Events: We will be soon be announcing a number of special events, including exhibits featuring the artists and speakers on diversity, tolerance and the power of the arts in affecting social change. 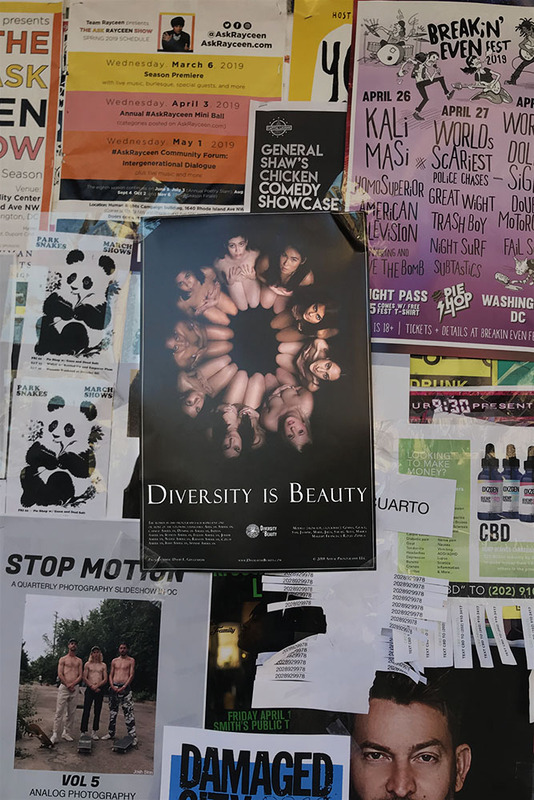 The “Diversity is Beauty” Project is a project of Appeal Photography in Washington, DC. For more information please contact us. 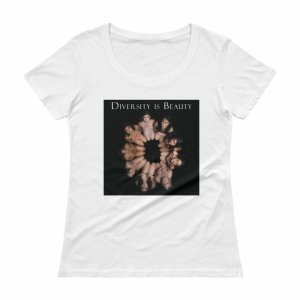 © Copyright -The Diversity is Beauty Project; Appeal Photography, LLC. All Rights Reserved. Stay in touch for future events, artist’s opportunities, photo competitions and other news. We work with the utmost care and discretion to protect your privacy & confidentiality. It’s our top priority.